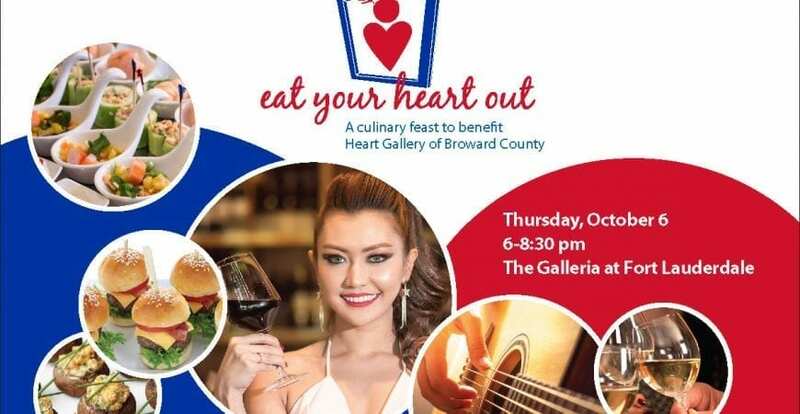 Delicious food and abundant wine and spirits are on the menu for the fourth annual Eat Your Heart Out culinary feast on Thursday, October 6 from 6 p.m. – 8:30 p.m. at The Galleria benefiting the Heart Gallery of Broward County, a respected not-for-profit committed to finding loving families for the hardest to place foster children. The mouthwatering event will recognize Howard Talenfeld of Talenfeld Law as Child Advocate of the Year for his extensive work representing the needs of abused and neglected children. The Heart Gallery of Broward County was introduced in 2007 as a traveling photography exhibit of foster children who were waiting to be permanently adopted, and has evolved to work closely with ChildNet and local foster care providers to seek adoptive families and other connections for these children. Eat Your Heart Out attendees will enjoy scrumptious servings from a variety of popular restaurants such as Angelo Pizza, Bar and Tapas, The Capital Grille, Truluck’s, Il Mulino, Cafe Vico, P.F. 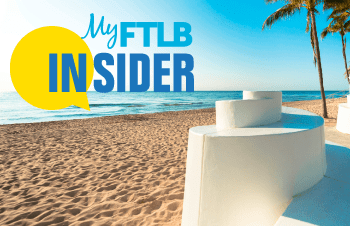 Chang’s, The Mermaid Bar at Neiman Marcus Fort Lauderdale, Pelican Landing, Mellow Mushroom, Myapapaya, Burger 21, Funky Buddha, Riverside Market, Flash Fire Pizza, Sweeter Days, Taverna Opa, Cookies by Design and Zona Fresca. The event will also feature a silent auction and live entertainment. New to the event this year, celebrity guest servers will dish out tastes from the many participating restaurants. Guest servers include Cindy Arenberg Seltzer/Children’s Services Council of Broward County, Mark Corbett/Gold Coast Magazine, Kelly Blanco/NBC 6, Broward County Commissioner Chip LaMarca, Robyn Hankerson/Johnson & Wales University, Heather Brinkworth/Broward County School Board, Heidi Dennis/Pelican Grand Beach Resort, Ina Lee/Travelhost Magazine, Lauren Fyke, Michael Berry/Hyatt Regency Pier 66, Courtney Crush/Crush Law P.A. and Randall Vitale/Hoffman’s Chocolates. Event sponsors include the title sponsor, The Galleria, as well as Goodman Public Relations, UBS Financial Services, Premier Developers and RIVA, Gulfstream Media Group, First Presbyterian Church of Fort Lauderdale and Leo Goodwin Foundation. Honoree Howard Talenfeld is one of the country’s leading children’s rights, injury and child disability attorneys, having focused his practice exclusively on protecting the rights of vulnerable individuals in civil rights cases, personal injury cases and systemic reform litigation since the 1980s. To purchase tickets, please visit www.heartgalleryofbroward.org or call 954-918-3008.